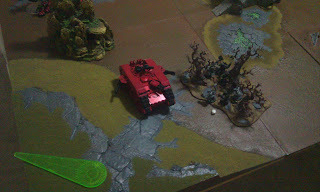 A few weeks ago, we tried out a game of 40K in which each player was on his own in a three way free-for-all. It was interesting, and you can check out the details by clicking here. 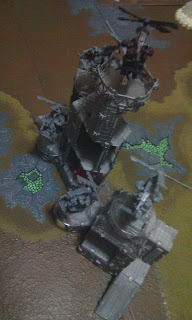 This time, we had a different player and a different army in the mix. Eric, usually our Tau player, decided that he wanted something different, so he grabbed Matt's Space Marines. Jeremiah played orks, as usual. 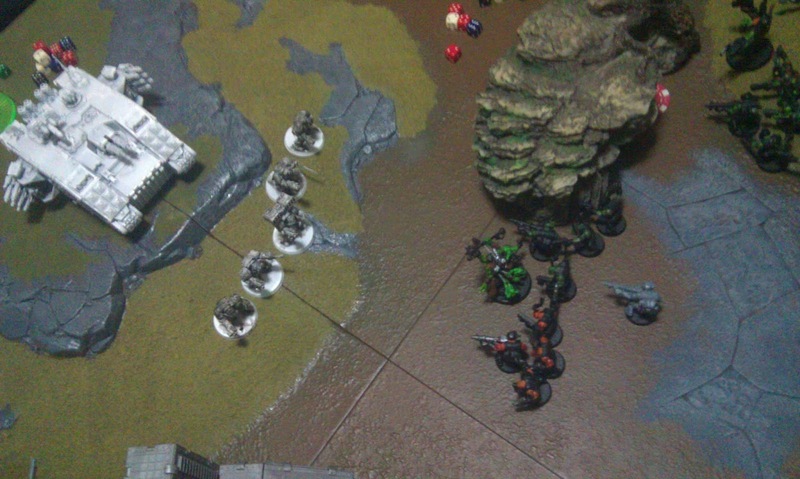 And I played my Blood Angels this time. For some reason, I stopped taking pictures after the first or second turn. I usually have tons of pics to choose from for blog posts and I only have seven. As with last time, I was concerned about Player C being at a disadvantage. This time it was Jeremiah who ended up with the long edge, and I cautioned him not to split up his army like I did last time (which led to me getting smashed by the other players). He kept most of his force together, but still sent his deffkoptas on some tank-killing runs and kept his nobz in cover away from the fighting. 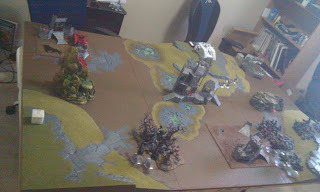 Looking at the board now, it appears as if the Space Marines are the ones having to fight on two fronts, not the orks. However, Jeremiah's orks still got the raw end of the deal thanks to an interesting quirk of the varied turn order we were using. To mix things up, we decided to roll for turn order at the beginning of each turn. 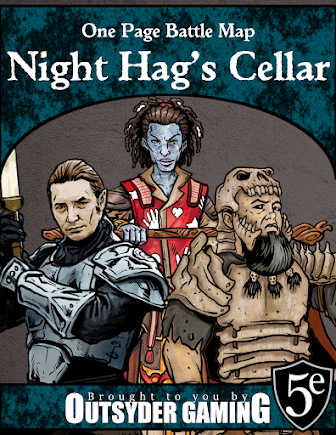 It seemed like a good idea, until the second or third turn when Jeremiah's luck went sour. 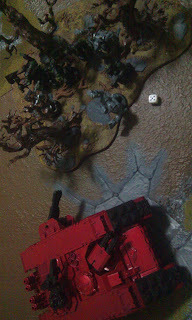 He ended up going first in one turn and then last in the next... which meant his orks had to survive four shooting phases before they got to close with the enemy. Needless to say, that didn't go so well. 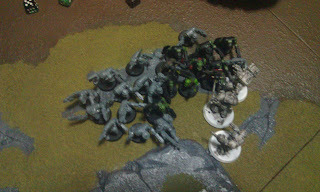 His boyz did chew through most of the terminators, but they just didn't have the numbers to survive by the time they reached the space marine lines. I'm going to be thinking about a better way to do turn order between now and the next time we play... maybe I can come up with something less swingy. It was a real bloodbath, and by the end of the battle I thought my strategy of hanging back and trying to stay out of the fight paid off. We had to stop at turn four due to matters of time, but the game ended with nobody even close to my objective, the center objective contested by Jeremiah and me, nobody on Jeremiah's objective (not even any orks! ), and the ork warboss on the space marine objective. It looked as though I won... but only for a moment. 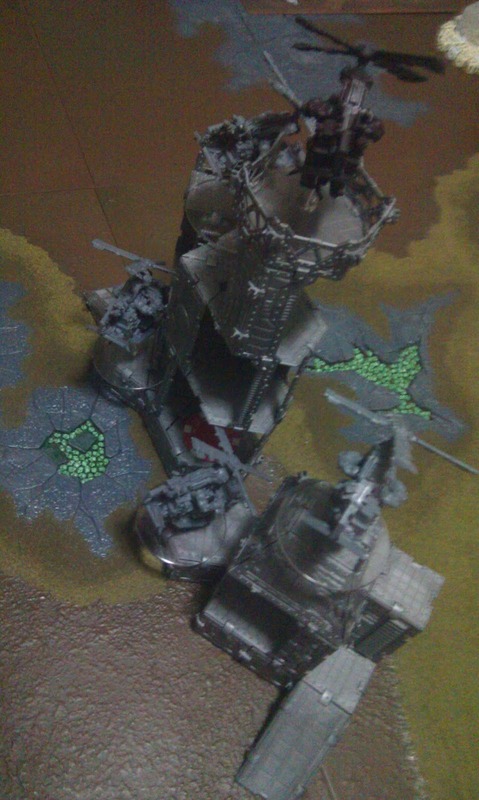 Eric mentioned that the warboss wasn't actually claiming the objective, and it was then that it hit me... I didn't have troops on mine either! The blood angels on my objective were what remained of my devastator squad, not troops at all. So officially, this was a draw. Not just a draw... a 0-0-0 draw... no objectives for anybody. Using kill points as a tiebreaker, I'm pretty sure Eric would have won. He killed a lot of orks, but they were huge squads. Unfortunately, we really didn't keep up with who killed what... so even then I'm not entirely sure. 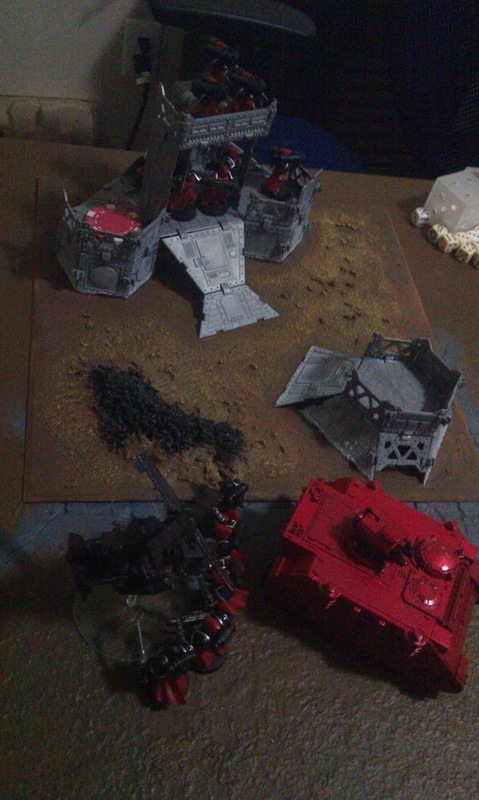 I killed a squad of ork deffkoptas as well as Eric's dreadnought... and maybe something else? 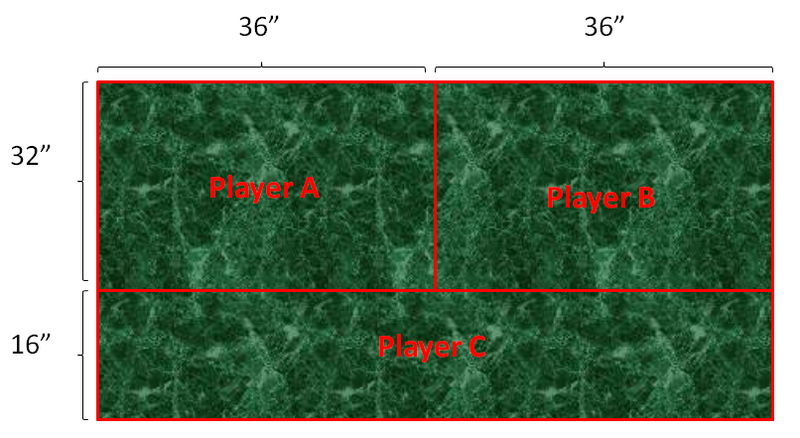 Jeremiah killed off a squad of marines but had other kill point opportunities stolen away by space marine combat tactics (the ability to wuss out on purpose and regroup later). Now, I present to you... random pictures... because I didn't take a good enough set of pics to really illustrate the whole battle. Jeremiah's mob of 30 boyz + weirdboy after eating two rounds of rapid fire. Deffkoptas using the height of this building to see past cover and shoot stuff from the center of the board. My deep striking land raider redeemer landed almost perfectly... just in range to fry some nobz. Some of the fighting between orks and space marines... too bad marines can just choose to run away.